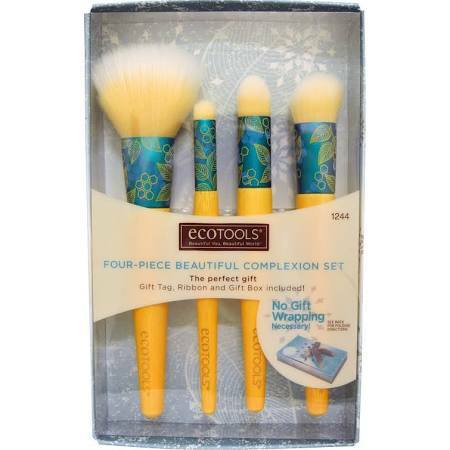 Making your Christmas an eco-friendly one needn’t push the budget and to prove the point I have put together a list of clean, green make-up gift ideas that come in under £20.00 (approximately $30.00USD). If the renowned Naked Palettes from Urban Decay are something you pine for but you can’t quite come with the ingredients then the Laid Bare (pictured) and Smoke & Mirrors Palettes may be just up your street. Laid Bare is a palette of eight neutral shades in a selection of pinks, tapes and browns (plus a charcoal for good measure). Smoke & Mirrors contains all you need for a dramatic smokey eye; greys and browns to add depth and peachy and pinks for highlight. 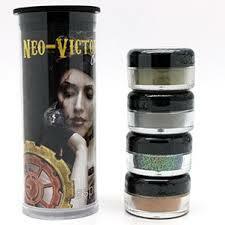 Both palettes have a selection of matte and shimmer finishes. In my opinion, Benecos is one of the best budget natural make-up ranges that there is and this set certainly doesn’t disappoint. 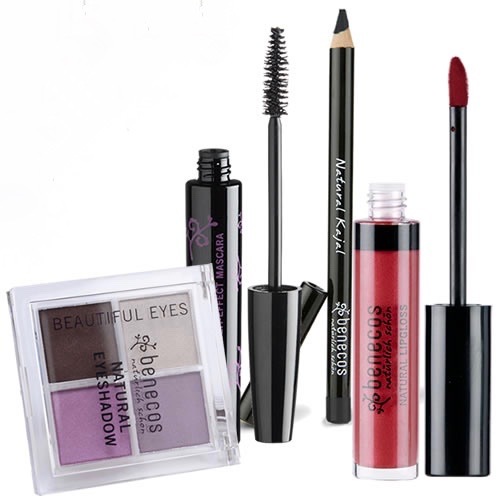 Prep your lids with the brilliant shimmering Eyeshadow Base and then create a beautiful soft smokey eye with the Shady Grey Eyeshadow Duo and Kajal Black Liner – plus you get a pencil shaper to boot! This multipurpose trio of creamy shimmering shades are the perfect addition to a Christmas or New Year party outfit. 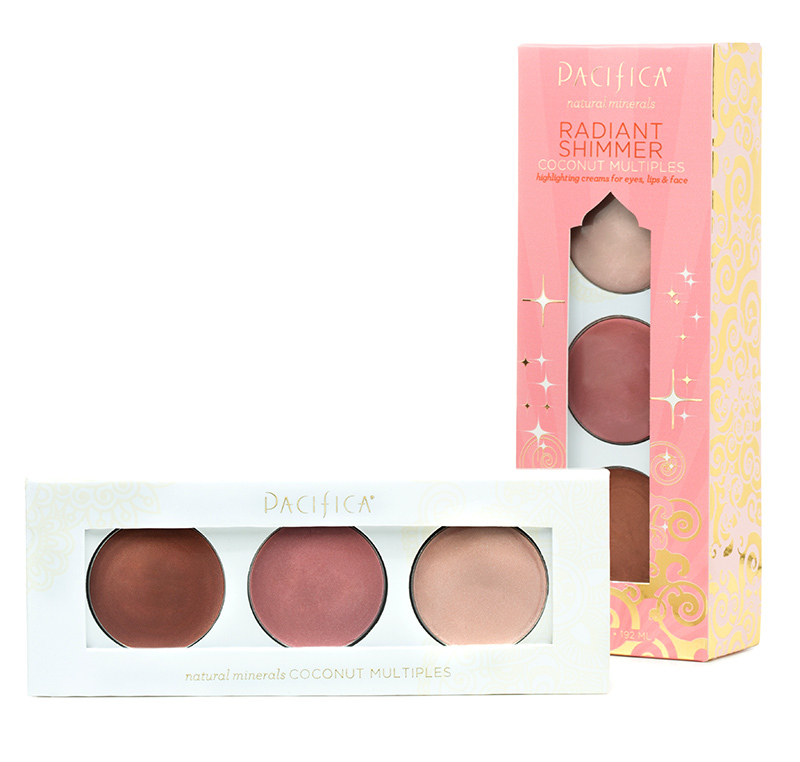 Designed for use on the lip, cheeks, eyes and body (I’m thinking these will look amazing on the collarbone), the coconut inflused shades (dewy pink Island Rose, iridescent Moonlit and sunkissed Bronzed) can be applied sheer and built up to create deeper tones. If you are looking to build on a brush lovers collection then this (I can assure you) would be a very good start. The collection contains the Mattifying Finish, Skin Perfecting, Eye Pefecting and Correcting Concealer brushes. I have three of these brushes and can genuinely say that they are lovely to use and work well. The synthetic bristles and bamboo handles are finished off with a beautifully designed aluminium ferrule – beautiful and practical! If you are looking for something that is a little off the wall then check out this multipurpose set from Esionage Cosmetics. The Neo Victorian Collection is Steampunk inspired and contains three loose pigments; Clockwork (burnished orange), Riviting (earthy old gold) and Retrofit (deep taupe with gold undertones) plus a multicolour loose glitter in Oxidize. Created (In their own words) by nerds for nerds this quad is the perfect make-up gift for any fan girl or boy!